Property 7: Great Location for Business or Pleasure! 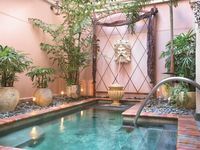 Heart of New Orleans- One Bedroom Loft sleeps 4 ~ Balcony overlooking the city! Property 8: Heart of New Orleans- One Bedroom Loft sleeps 4 ~ Balcony overlooking the city! 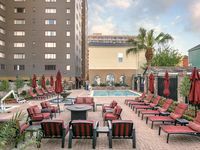 New Orleans Jazz Quarters: Grand Trio-3 Blocks from Bourbon St-Sleeps up to 16! Property 15: New Orleans Jazz Quarters: Grand Trio-3 Blocks from Bourbon St-Sleeps up to 16! It was perfect for our short visit, the room was quiet and spacious. Loved this place.